One Clinton Street aka 280 Cadman Plaza West recently topped out at 36 stories over Brooklyn Heights. 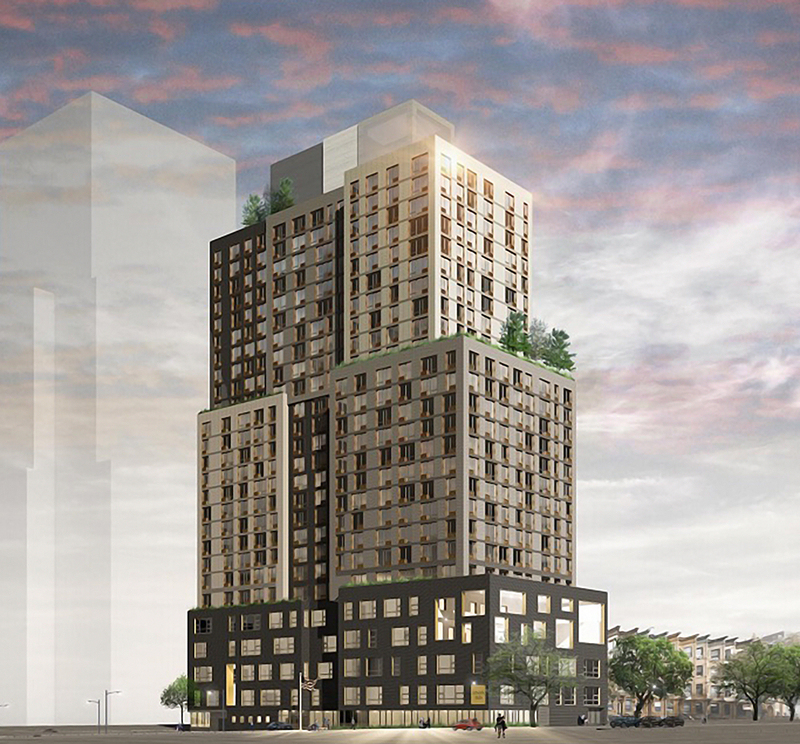 The mixed-use residential building is being designed by Marvel Architects and developed by Hudson Companies. 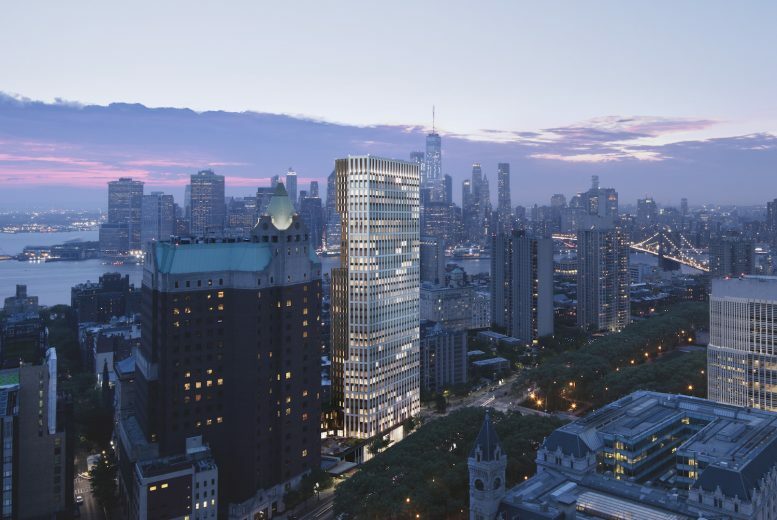 The 295,000-square-foot project will include 134 residential units and One Clinton Street Library, a new public library that is replacing the former Brooklyn Heights Library. The tower is situated on a triangular-shaped plot at the confluence of Clinton Street, Tillary Street, and Cadman Plaza West. At 409 feet, it is currently the tallest structure in the neighborhood. 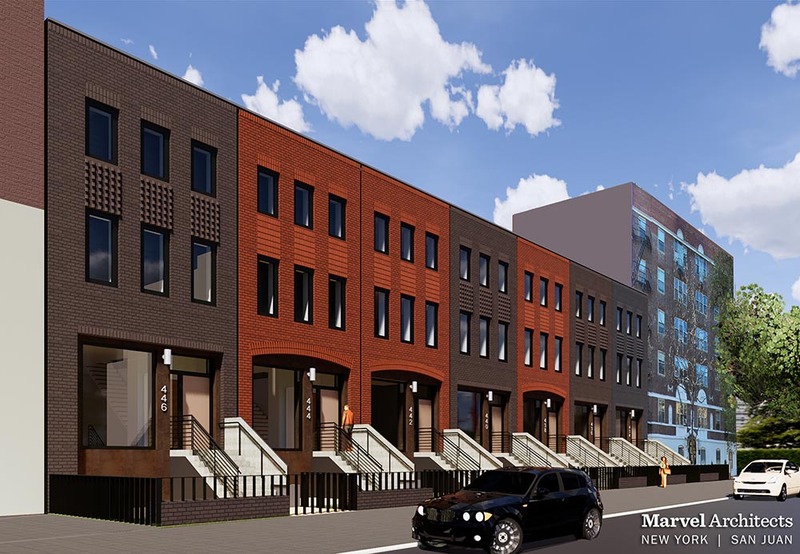 In a recent announcement, New York City’s Department of Housing Preservation and Development (HPD) and the Housing Development Corporation (HDC) revealed a multi-phase affordable housing development in Brooklyn. 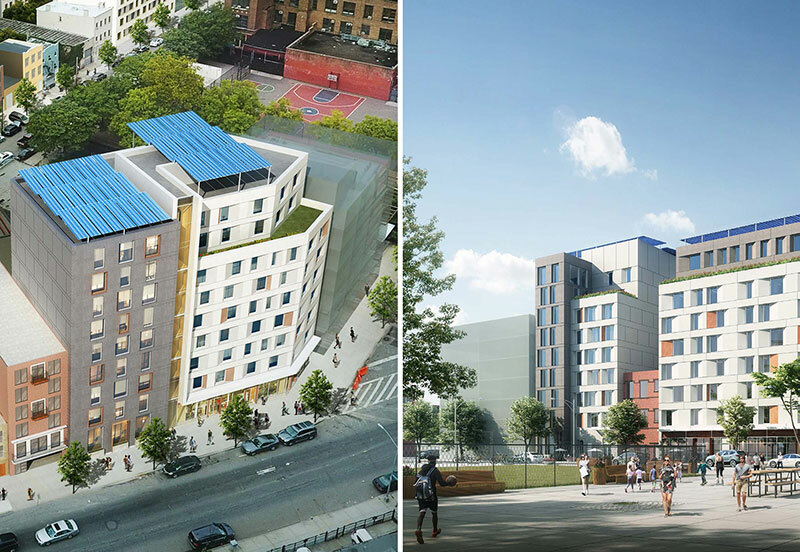 Known as Broadway Triangle, the wedge-shaped plot of land sits at the intersection of Williamsburg, Bushwick, and Bedford-Stuyvesant and will eventually give rise to a five-building housing complex for low-income households and the formerly homeless. The Loketch Group and Marvel Architects have again teamed up on a new low-rise residential development in Clinton Hill, Brooklyn. Located at 444 Vanderbilt Avenue, the new, three-story property will include seven neighboring townhomes, each measuring approximately 4,000 square feet. The homes also include private parking. 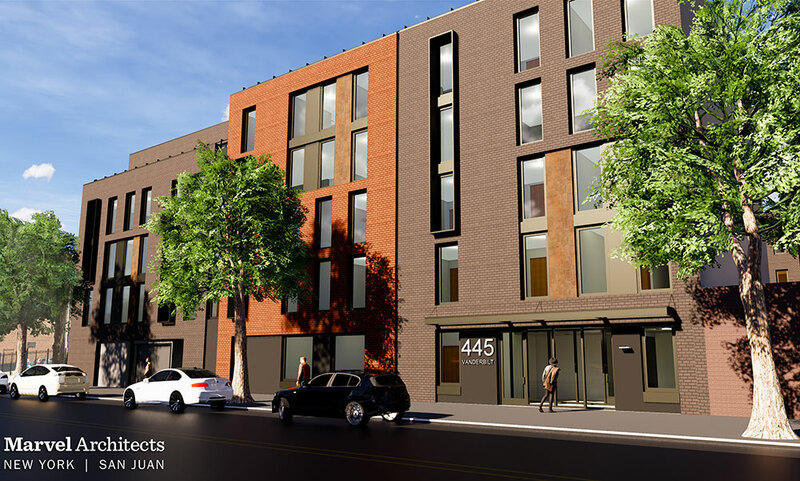 The Loketch Group has released renderings of a new, five-story rental development at 445 Vanderbilt Avenue in Clinton Hill, Brooklyn. The structure will contain 44,875 square feet of residential area, an enclosed parking structure, and a 64-foot-long rear yard.